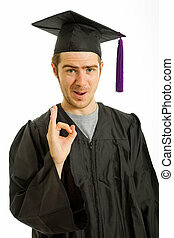 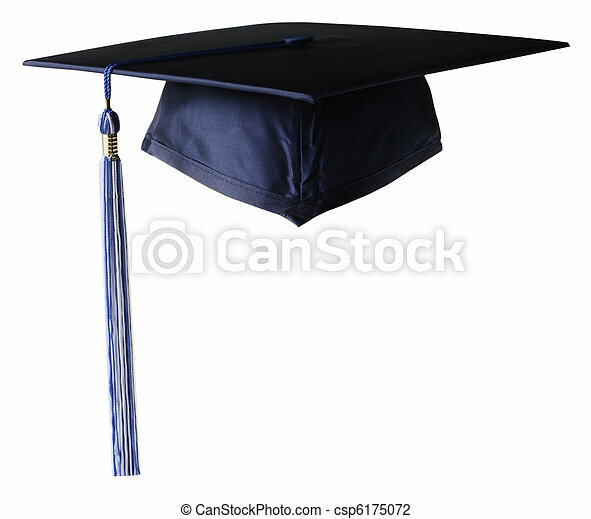 Graduation cap with white and blue tassel. 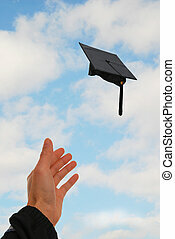 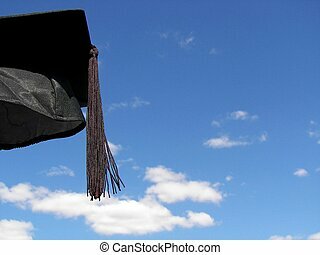 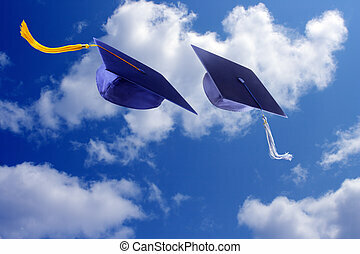 Graduation cap in the summer sky. 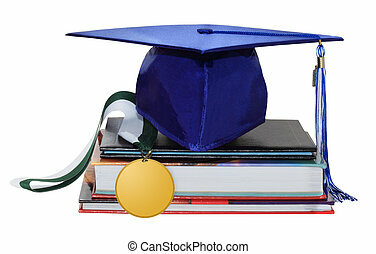 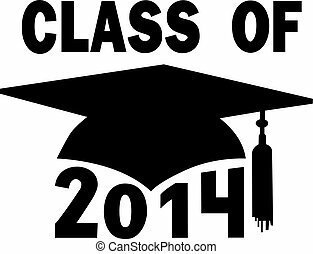 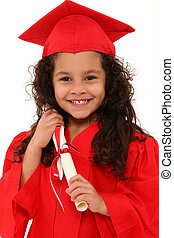 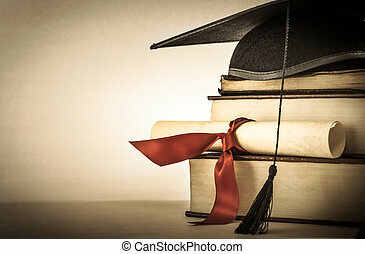 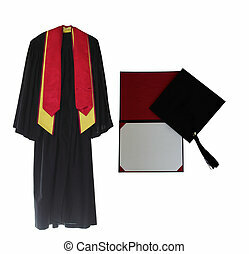 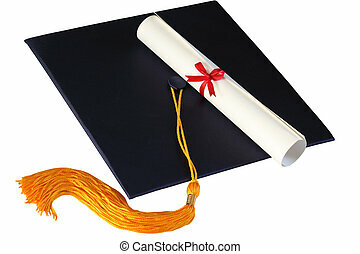 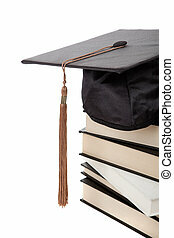 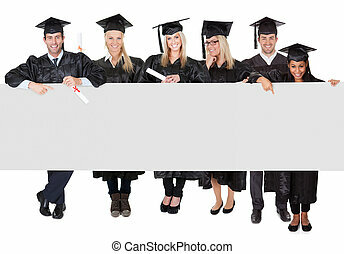 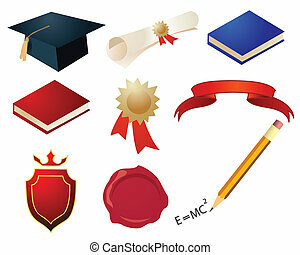 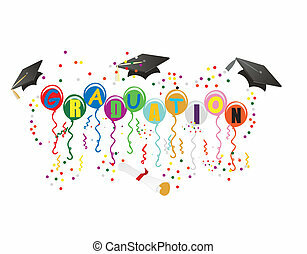 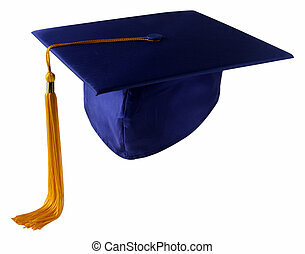 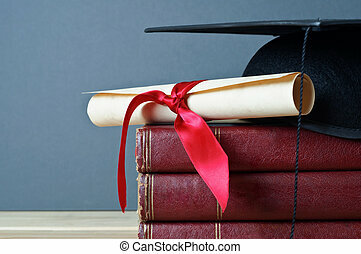 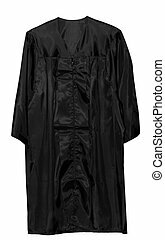 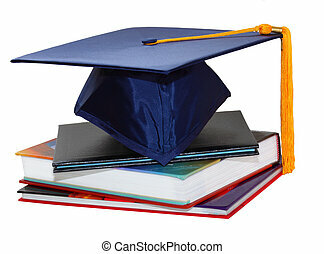 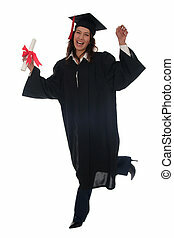 Close up of a mortarboard and graduation scroll on top of a pile of old, worn books, placed on a light wood table with a grey background. 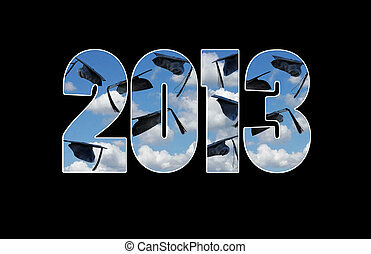 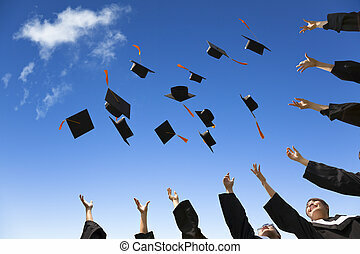 Airborne graduation hats for class of 2013.